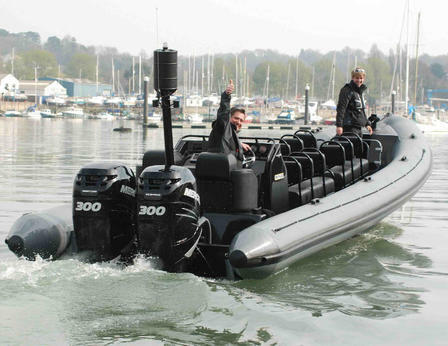 Action Boat.. Supercharged 600 Horsepower twin engined Mega-fast Rib. We are not joking when we say, you must be fit, healthy and have no history of back or neck injuries if you want to come out to play in one of the most powerful charter boats on the South coast. For the petrol heads out there this boat has 2 x 6cylinder supercharged outboards each delivering an instant 300 horsepower. Trust me you will not be disappointed with the insane speed rush.